After a busy week of school, I was able to sneak away a wet my line in the Clark Fork and the Blackfoot rivers. With temperatures forecasted to rise into the mid 50s by the afternoon, I abandoned the Bitterroot and a potential hatch in order to seek the angling solitude I had grown accustomed to during the winter months. From the many area fishing reports, it seemed as though the skwala hatch was about to start. With pleasant, sunny weather with temperatures reaching the mid 50s, I was positive that my days of having the river to myself were over. After stopping by a local fly shop, it became apparent that the Bitterroot was going to be crowded...like "fourth busiest fishing day on the Bitterroot" crowded. "No thank you" my internal narrator noted. So, I explored my other options. 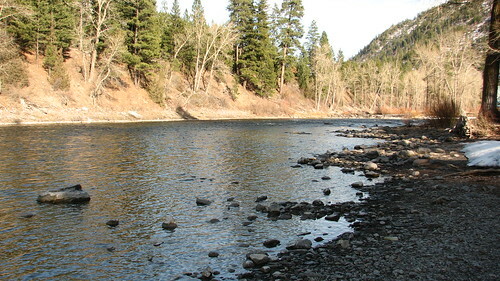 The Clark Fork near Turah and the lower Blackfoot towards the end of day. I spent most of the day - from around 10am to 3pm nymphing downstream of the Turah access. I hadn't fished this stretch of water before. Not knowing what baseline conditions were like, I made irrational and uniformed opinions about its current conditions. Honestly, it seemed quite turbid. I was unable to visually confirm channel topography from the bank and wading was made more difficult as undulations of the bed were only detected when the water seemed to get closer to flowing over the tops of my waders. But, with reported "budget cuts" at the USGS, I couldn't confirm my suspicions about the suspended sediment load in the Clark Fork at Turah. 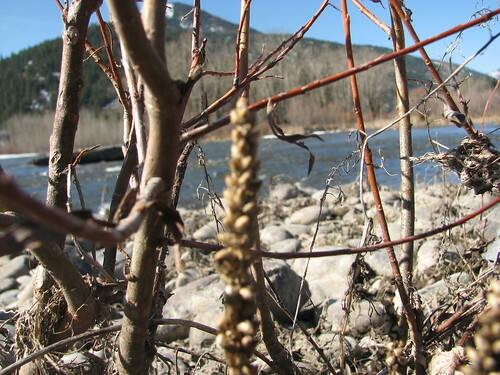 Alas, they no longer publish the "real-time" suspended sediment data on the web for the Clark Fork. Based on the gage data, the river was slightly higher than its normal baseflow. I know...I know. I am laying the groundwork for excuse village. But, I must. I can't be this bad. Black Stoneflies, Blue-Wing Olives and Midges, as expected in these winter months, were hatching sporadically. I fished the sub-surface with small pheasant tails, copper johns and midge emergers. And I fished them poorly apparently. Another goose-egg for young Yukon. Waiting for the Blackfoot to creep towards 40 F, I drove over to the Marco Flat fishing access. Again I fished the subsurface. And again I failed miserably. All in all it was a good day. 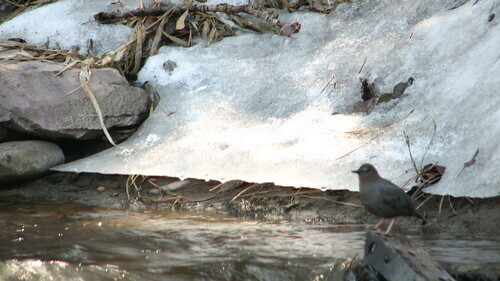 Did I mention the 15-20 minutes I spent watching a pair of American Dippers on the Clark Fork? I suppose I didn't. Enjoy the pictures and the videos from my day on the CF and BF Rs. Casting on the Blackfoot from Ivan Orsic on Vimeo. Singing Dipper on the Clark Fork from Ivan Orsic on Vimeo.